Installation on North Shore, Lower North Shore and Northern Beaches. 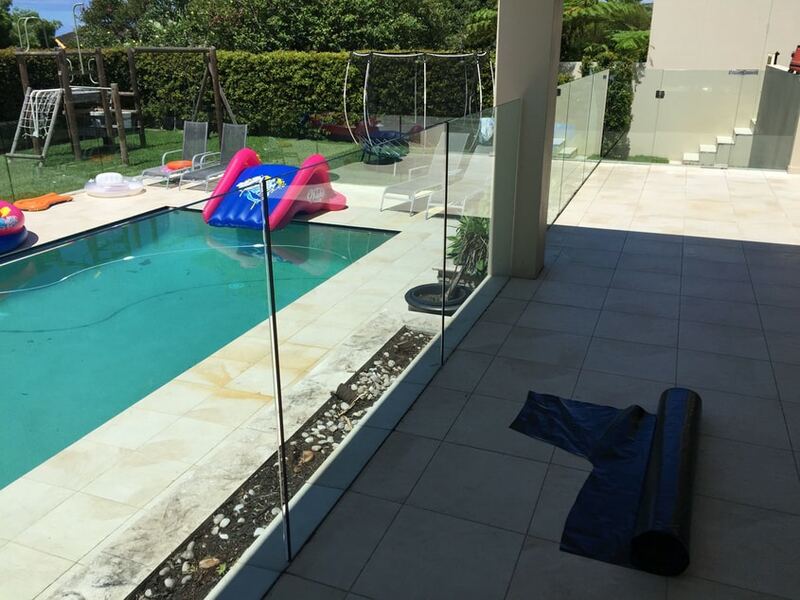 Fully frameless glass is definitely the most popular style of pool fencing. Generally constructed from 12mm thick toughened glass mounted with 2205 Duplex stainless steel spigots which are set in core holes drilled by ourselves. Pool safety gates are either 12 mm thick glass with self closing, soft close hinges or a choice of 8 or 10mm thick with self closing spring hinges. 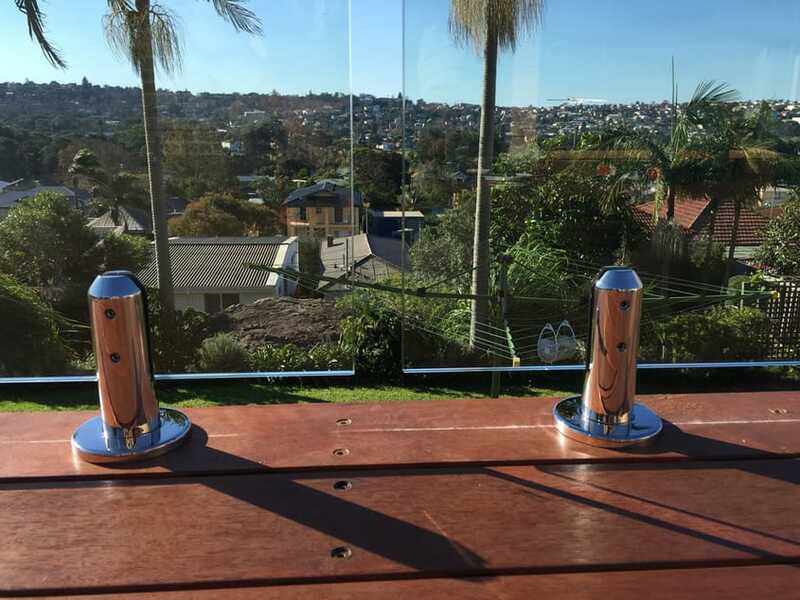 Spigots can be either round or square depending on which you prefer the look of. All frameless glass can be fitted with a stainless steel top rail if required. All the stainless hardware used can be supplied in bright polished (most common and most corrosion resistant) or brushed finish. Frameless glass fencing can be installed in several ways depending upon your design, desired look and ground surface. Looking for semi-frameless glass? Or aluminium pool fencing? The most common method is with spigots. These can be ‘core drilled’ into existing hard surfaces such as paving, tiles and pebblecrete. 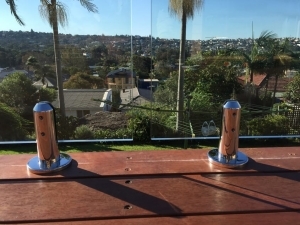 If you have a timber deck, or just like the look, ‘surface mounted’ spigots with the surrounding ring are used. Spigots are either bright polished (most common and most corrosion resistant) or brushed finish. They can be round or square shaped section (as you look at them from above) to suit your look. If you are designing your pool fence before your pool or surrounding surface is constructed (or completed) then you may like virtually invisible ‘channel fixed’ option. The glass is set into a channel which is then filled with concrete to hold the glass, and the finished ground surface (eg tiles, or deck) is then laid over the channel up to the glass leaving no hardware visible at all. Finally, if the fence is required on the edge of a balcony or other edge, the glass can be button fixed to the vertical surface.